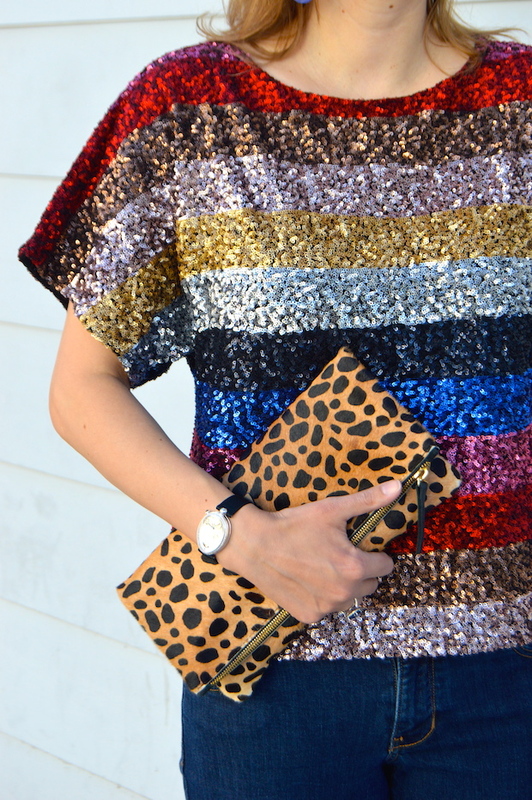 Hello Katie Girl: Sparkle for the New Year! I wore this top out to a pre-New Year's Eve luncheon yesterday and it definitely received a lot of compliments from ladies, both young and old. 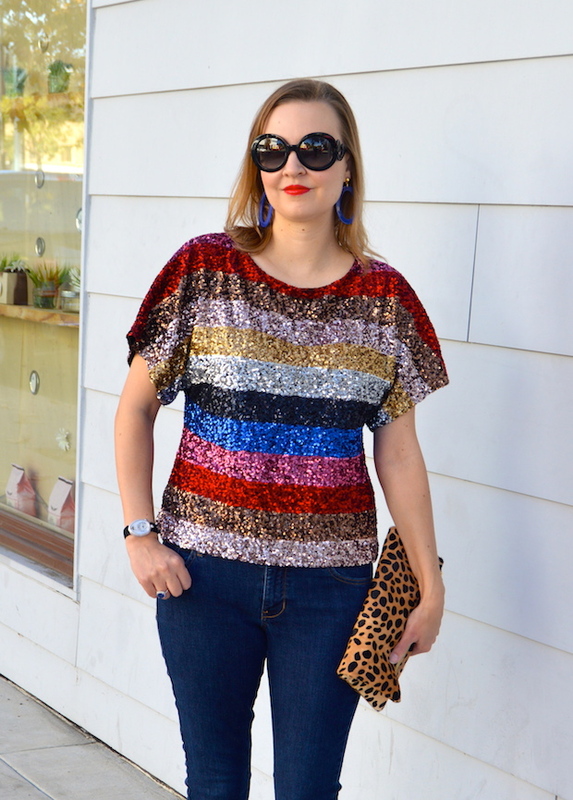 Maybe that just goes to show that sparkly sequin tops are not only versatile for different occasions but also for different age groups! 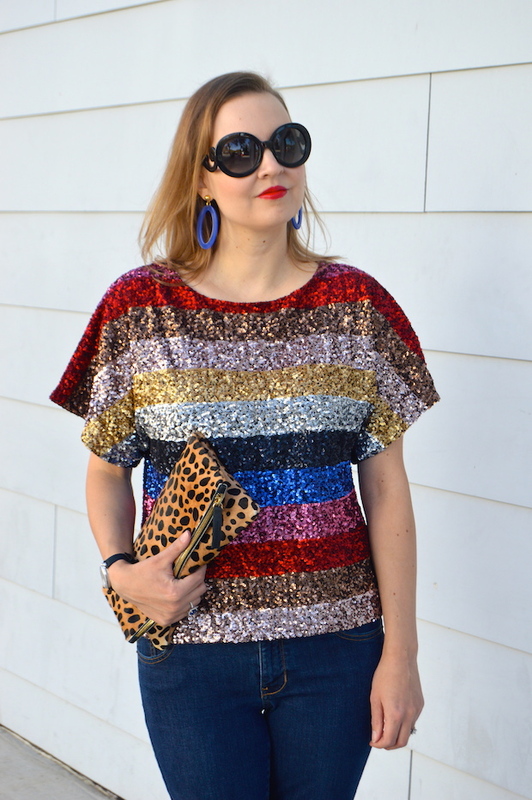 This sparkle top is also something that is very budget friendly. I went to Gap specifically to look for it and it just happened to be marked 50% off with an extra 30% off on top of that, which brought the top to a very reasonable $35. I would have worn this top on New Year's Eve, but I've decided to stay in this year. (Truth be told, I stay in most years!) Nothing is better than ringing in the New Year with Champagne, fondue, my husband and my dog! The added comfort of being in pajamas just sweetens the deal! Now if someone would only make sequin pajamas so I could be comfy and fancy simultaneously, I'd be all set! I looooooove this top! I would be ordering it immediately if it would fit! haha!! You look fab! We just did pizza and sparkling juice/champs this year with some friends, and it was honestly so nice to be home. Happy New Year!! What a pretty top Katie! Love the colors and how you chose red shoes for more Holiday wear. you look great and the leopard adds another fun demension. I have read about the Rockstar jeans, maybe i need to check them out! I order this top and it has looked cute on every single person I've seen wear it! 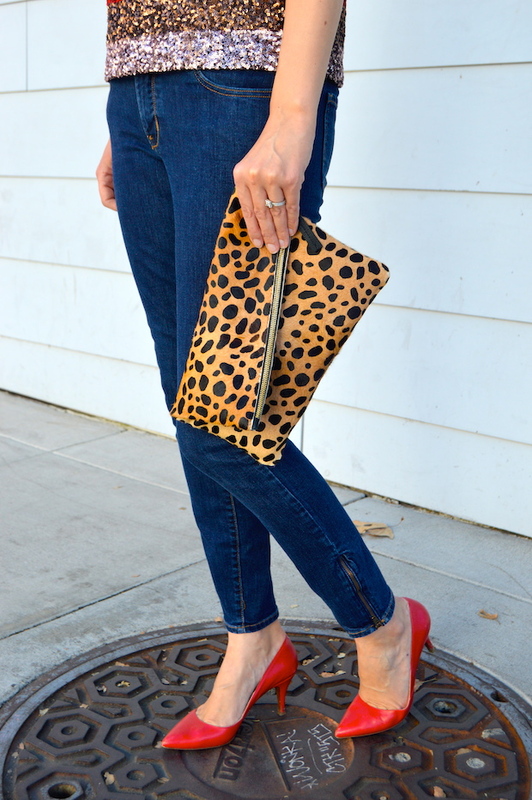 Love that you paired with leopard. What size top did you purchase? I ordered size small. I hope that helps!